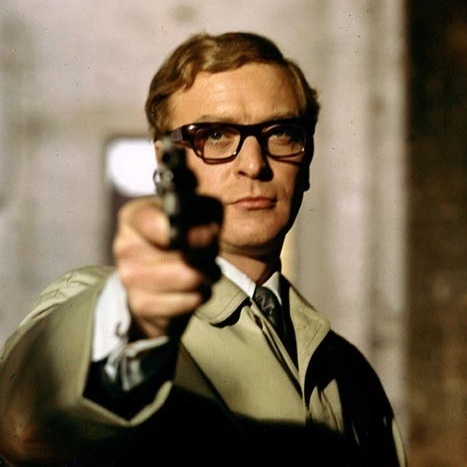 The Ipcress File , directed by Sidney J. Furie, is one of Michael Caine’s finest roles. Based on Len Deighton’s novel of the same name Caine’s character Harry Palmer was billed as the anti-Bond. He has narrowly avoided prison and is very sceptical towards authority, including his bosses. However, his unconventional methods gain results which Palmer modestly produces during meetings. The opening sequence (of which a still is above) is a fascinatingly careful construction of Palmer’s character as he wakes in the morning, gets ready and heads into work. Palmer is man of many talents, not only being able to shoot a gun but also discerning the various qualities of tinned mushrooms available. He is able to crack eggs with one hand and is happy to whip up a supper for ladies who drop by his flat. This is truly a modern man who can support himself domestically, financially and in any fight. However, The Ipcress File is not solely a study of Harry Palmer’s character. The plot also revolves around the attempt to stop a “brain drain” out of 1960s Britain as academics either defect or suffer amnesia. Along with his colleagues Palmer follows a trail which includes surprises, treachery and violence. No one can be trusted and nothing is as it seems. The film is worth a watch not only for the unusual plot but also the views of 1960s London which it provides.